Heading south from Collie, walkers have in mind that the next town, Balingup, and indeed civilisation as one walks is not far away. Glen Mervyn Dam is a great place to cool off or just watch the sunlight reflect off the ripples. Across the dam wall and onto the tiny settlement of Mumballup walkers are rewarded with the Mumballup Forest Tavern - a different kind of oasis! 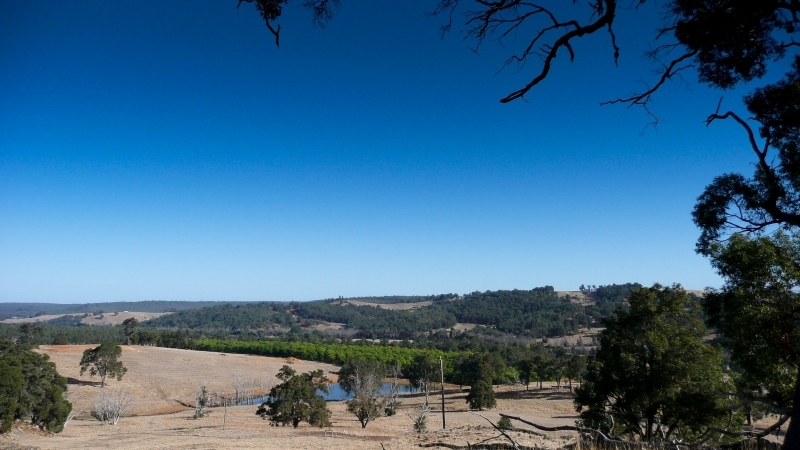 It isn't long before walkers are rewarded with views over the Preston Valley and the prospect of walking through one of the best stands of virgin jarrah forest in the south west. There are parts of the Track here that can get inundated during late winter so make sure those boots are water-proof! The descent to Balingup Brook is steep but the walk along the brook and into the village of Balingup is picturesque with rolling green hills and open landscape - cappuccino and a muffin anyone? Walkers head out from Collie on the spur trail then turn south to the Collie River. 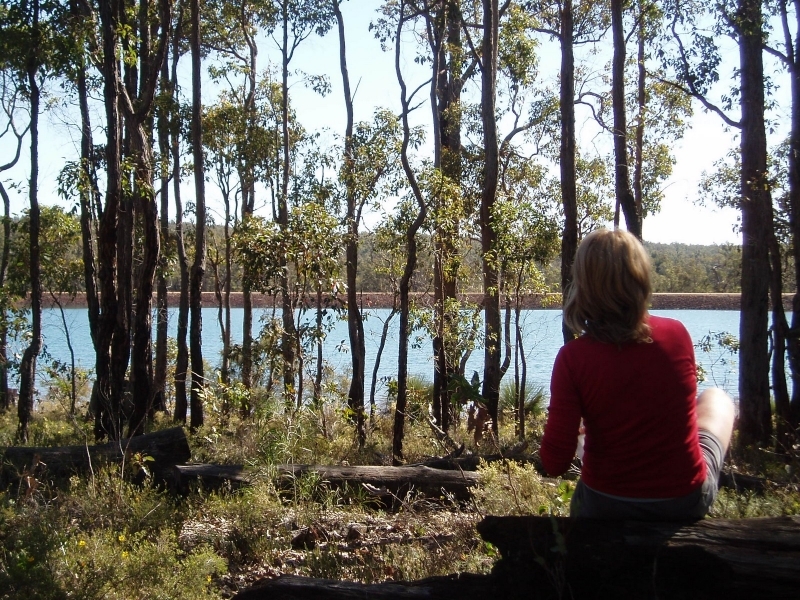 Mungalup Dam, the town's water supply, provides a pleasant resting place although swimming is not permitted. The Track then passes through the Wellington Forest to reach Yabberup campsite. Just north of the campsite the Bibbulmun Wellington Spur trail joins the main Track. The spur trail connects the Track with Wellington Dam to the west and has two group campsites. There is much evidence of the logging industry, past and present, to be observed. Parks and Wildlife Servcie's massive Western Shield operation has reduced the number of foxes which is an introduced species. You are now more likely to see small, native mammals such as the quokka, quenda, mardo and chuditch in the Wellington Forest. Between Yabberup and Noggerup campsites the Track skirts Glen Mervyn Dam (an opportunity for a swim) and crosses on the dam wall before descending to the Forrest Tavern at the tiny settlement of Mumballup, on the Donnybrook-Boyup Brook Road. A favourite and well deserved resting place, the tavern, affectionately known as the ‘Mumby Pub’ has been a local haunt for walkers since 1988. Mumballup is thought to have the meaning ‘place of evil spirits’. The Forrest Tavern in Mumballup is a popular rest spot on the Track. Immediately after passing the Tavern, a steep climb leads to the Noggerup Conservation Park and one of the best stands of virgin jarrah forest in the south-west, a reminder of how the landscape appeared before being modified by European settlers. The Track continues through old forests, and then once beyond the Grimwade campsite it traverses more recently logged forest before descending very steeply into the Balingup Brook valley and across the brook into the town, which is set amongst rolling green hills and a picturesque open landscape. 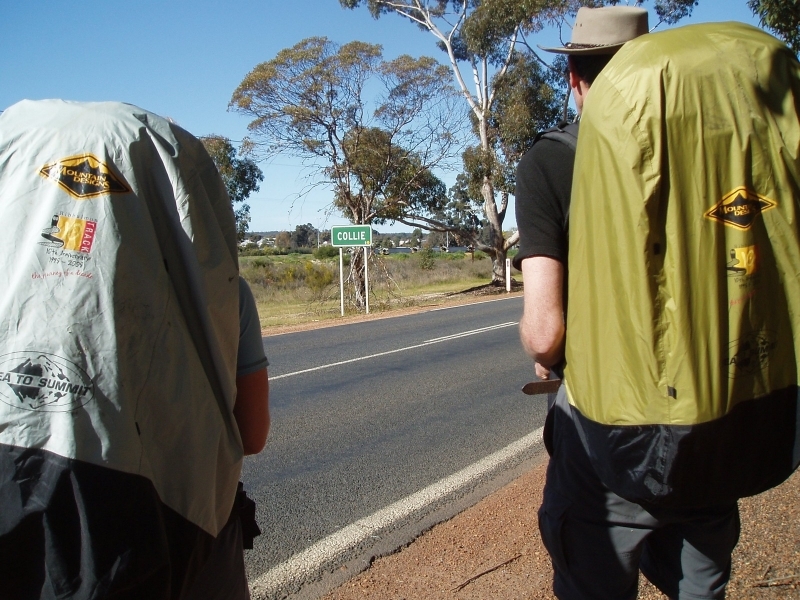 For more information on walking from Collie to Balingup see the Section by Section Guide.